POP QUIZ: What do the following words and phrases have in common? Son of God, Savior, Lamb of God, Son of Man, Bread of Life, Great High Priest, Son of David, Lord, Son of Abraham, Good Shepherd, Messiah. ANSWER: At least two things: (1) they are all used to describe Jesus in the New Testament, and (2) none of them make proper sense apart from their background in the Old Testament. “You search the Scriptures because you think that in them you have eternal life; and it is they that bear witness about me, yet you refuse to come to me that you may have life. . . . Do not think that I will accuse you to the Father. There is one who accuses you: Moses, on whom you have set your hope. If you believed Moses, you would believe me; for he wrote of me.” (John 5:39-40, 45-46, ESV). 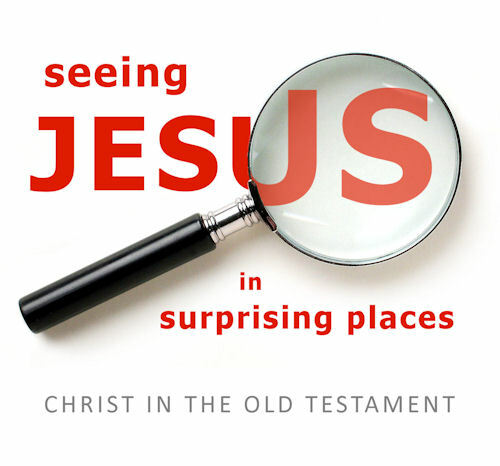 So does the Old Testament really speak so clearly of Jesus? If so, how do we read it carefully and faithfully, so that we don’t miss him or misunderstand who he is and what he came to do? Westgate Church’s annual All-Church Retreat at Sandy Island is coming up Sept. 7-9. We hope you’ll consider joining as we rest, have fun, get to know one another better as a church, and spend time in God’s Word, that we might see, trust, and treasure Jesus as he has made himself known to us in the Old Testament Scriptures.